It’s that time of year. We ponder what shall we get our loved ones this holiday season. 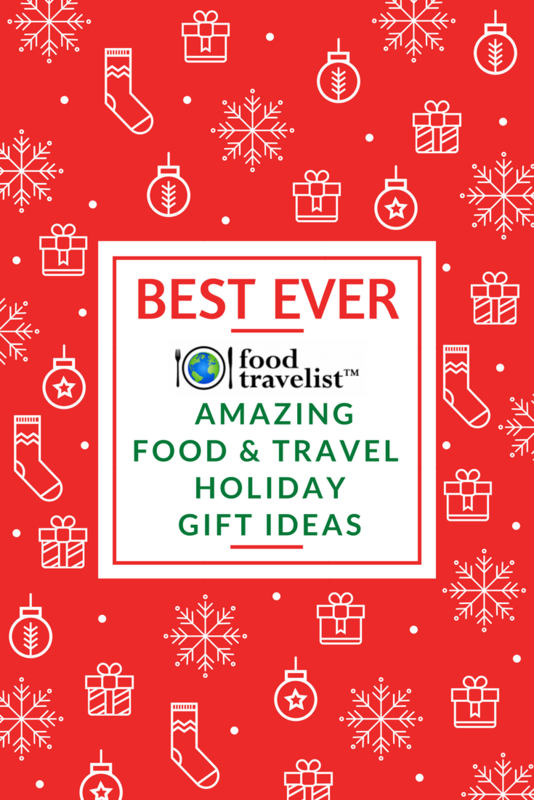 If someone on your list is a food and travel lover we’ve got some great ideas for you. 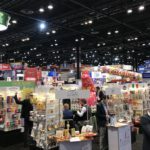 We share a few new food travel gift ideas as well as some some tried and true ones that are bound to make anyone on your shopping list (and you) smile. You know when you travel and pick up local snacks that you just can’t find anywhere else? 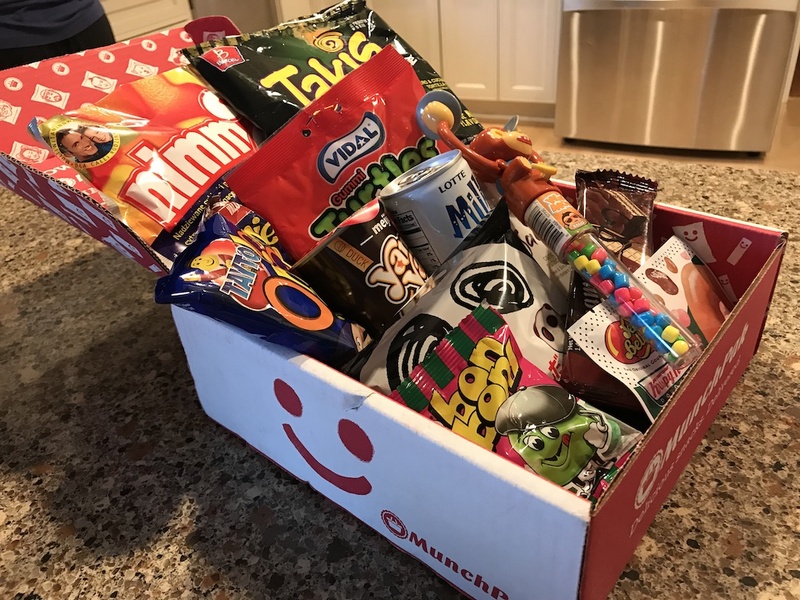 MunchPak brings you a box of these snacks every week, every two weeks or monthly. You customize your subscription by choosing sweet, spicy, sour, crunchy, gummy and more. They have it all. You can choose from 5 snacks, 10 snacks or giant 20+ full-size snack boxes that are terrific for homes or office break rooms. When you get the box you scan the snacks you receive to learn more about them and order more. They even have an option to add drinks like coffee, tea, soda, juice, energy drinks and water. Boxes start at $12.95 and make great gifts that are fun to open and even share. Italian cookies are such a tasty gift. 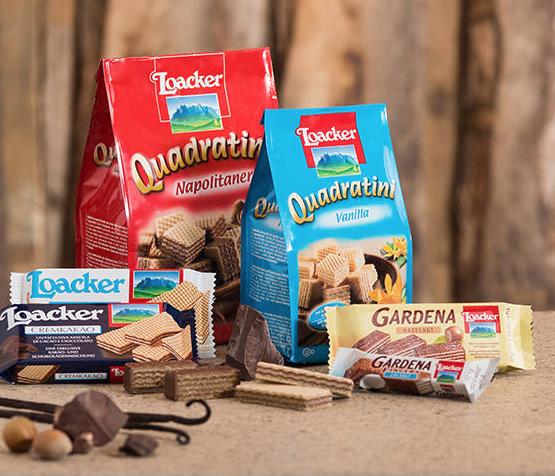 Treat your friends and family by introducing them to Loacker Italian cookies and candies. 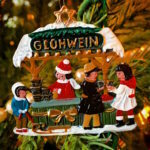 They’re Still made in the heart of the Dolomites with loving care and third family generation tradition. They use the best ingredients to create wafer and chocolate delights and produce products with natural raw materials. Sourcing the best Italian hazelnuts, roasted on-site, real bourbon vanilla pods from Madagascar and Reunion, fresh mountain water, fine chocolate and high-quality milk. No artificial colors, no preservatives, no added flavoring and no hydrogenated fats. These are delicious treats you can feel great about giving. Loacker Cookies. Photo Courtesy of Loacker. 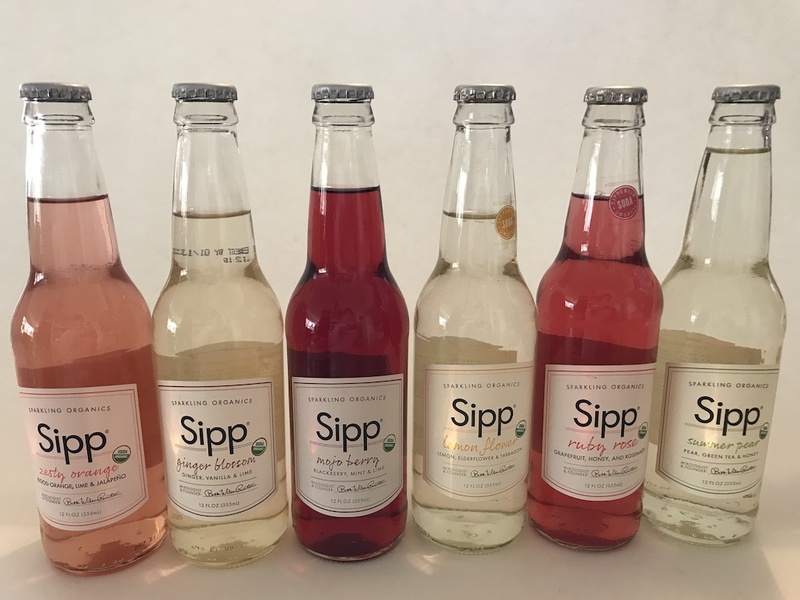 There’s soda and then there’s Sipp organic soda. These unique flavors of blended fruits and herbs make a perfect gift for the discriminating drinker in your life. These beverages taste great on their own or mixed in your favorite cocktail. Flavors like Lemon Flower that layers zesty lemon, elderflower and the slight aroma of tarragon or the Mojo Berry with tangy blackberry, mint and lime. All are certified organic, contain no artificial ingredients, are caffeine free and gluten free. They are lightly sweetened with agave. You know that feeling when you have a drink in a beautiful glass? It just seems to taste better, right? The founder of Love Bottle wanted to take that feeling and put a little joy and love into the everyday routine of drinking water. We all have a zillion water bottles. Plastic, metal, you name it. These Love Bottles are beautifully designed glass bottles. No worries about leaching plastic or harmful chemicals. These are all natural. The bottles also help with the environment by not adding to the landfill. 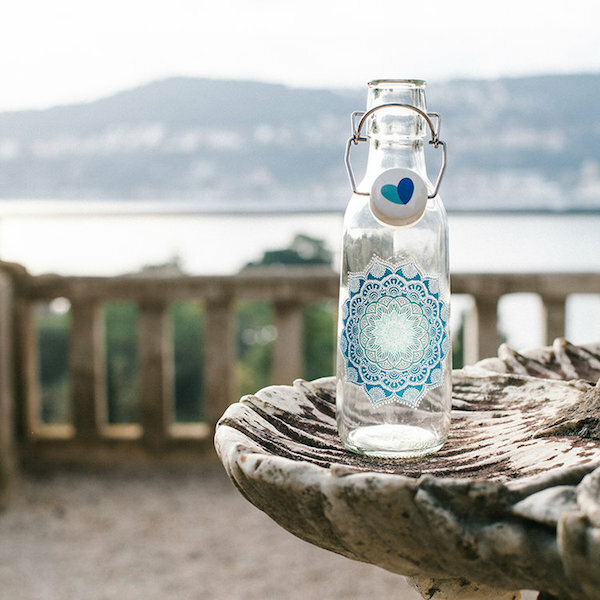 They are a certified B Corporation and 5% of every love bottle goes to GlobalWater.org to help provide clean water for people around the world who need it. Choose from their many dishwasher-safe designs or create your own custom bottle. Retail prices start at $25.00 a bottle. When I first heard of TeaSquares I thought oh great another bland, dry good-for-you bar. I could not have been more wrong. These bite-size snacks are good for you but they are flavorful and delicious. Made with puffed millet, almonds and fruits they are super light and airy. They infuse TeaSquares with organic tea to help you add a little fuel to your day. A locally based Chicago company (which we love) they provide employment opportunities to young adults from communities in need. Instead of grabbing a candy bar when hunger strikes try TeaSquares instead. Choose from Vanilla Chai Tea, Citrus Green Tea Matcha, and Acai Blueberry. 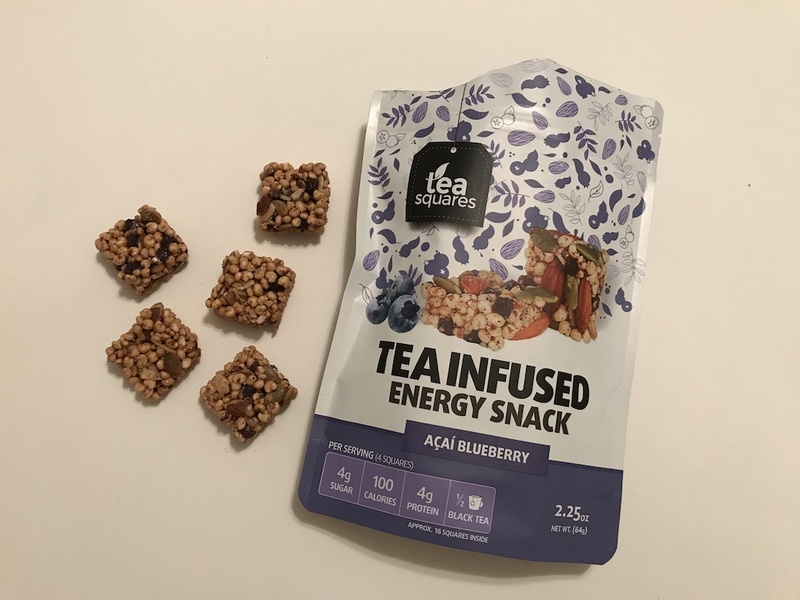 I tried the Acai Blueberry and loved them. I’ll be buying the citrus green tea matcha for my own stocking! If you’re a long-term reader you know I love tea. 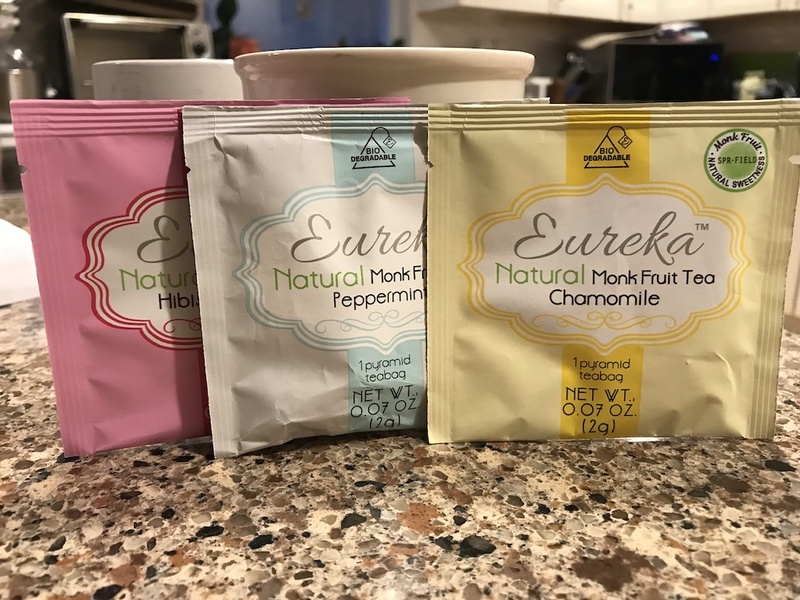 This tea from Eureka is organic and full of great flavor. It’s also sweetened with Fruitmayor dried monk fruit. What’s monk fruit? It’s a small sub-tropical melon that has been used in Asia for hundreds of years. In fact, it’s named for the Buddhist monks who first cultivated in over 800 years ago. It’s a 100% natural way to replace sugar with this low-calorie option. 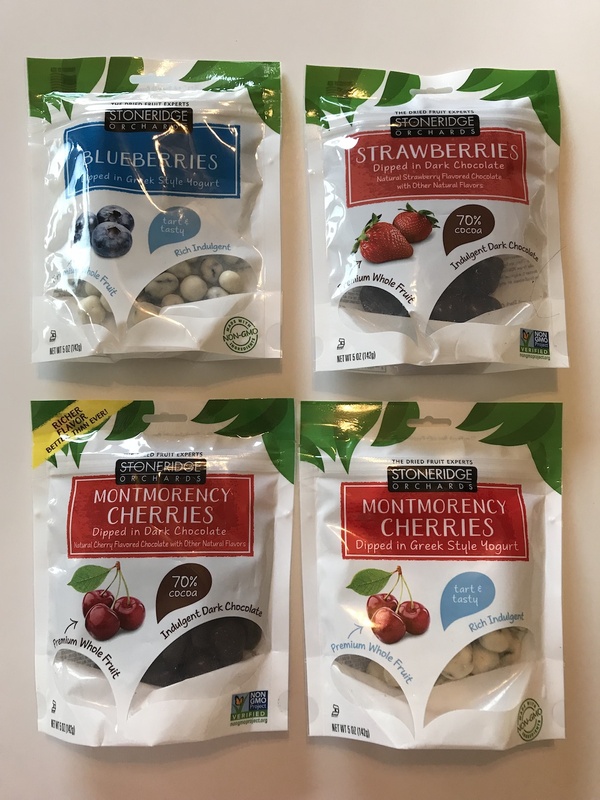 If you like the idea of Stevia, but don’t like the bitter aftertaste monk fruit may be your new best sweetner friend. They have some great tasting flavors like chamomile, rose, hibiscus orange, English Breakfast and more. If there’s a busy someone on your list that likes to cook but might not have the time to shop for ingredients you may want to suggest Chef Inside The Box. They send you pre-packaged food that’s ready to cook and eat in just minutes. It’s only available in the Chicagoland area right now. There’s no long subscription commitment – you decide when you want the boxes. The recipes are crafted by chefs that have folks with busy lifestyles in mind. Meals come right to your door and start at $6.95 per serving. We tried the meals for a week and had plenty of leftovers. 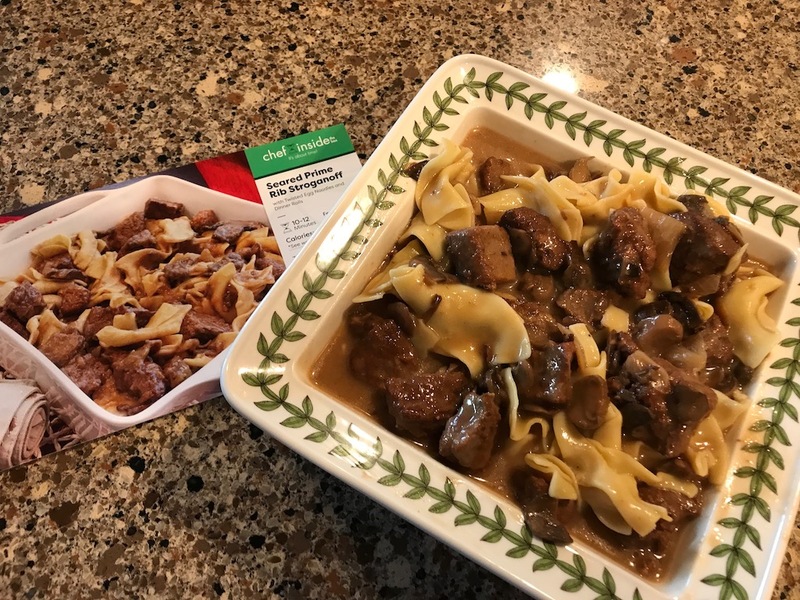 Our favorites were the prime rib stroganoff and seared bourbon and sweet onion chicken. So simple even I could manage to put together a great tasting meal. When we travel we always bring snacks. You just never know when you’ll be stuck on a plane or some other place where you can’t get something to eat. We also love to carry more healthful snacks. These chocolate and yogurt covered fruit from Stoneridge are just the perfect thing when hunger hits. They dip their high-quality fruit in premium dark chocolate, 70% cocoa and Greek-style yogurt. This is one snack that everyone will love. 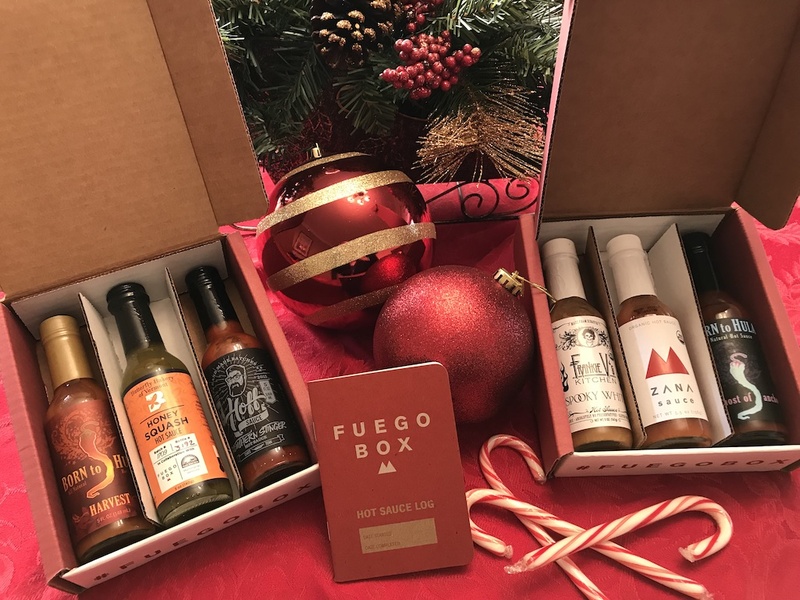 Here’s another subscription box that will make the more spicy folks on your list really, really happy. Small batch and craft hot sauces delivered right to your home from Fuego Hot Sauce of the Month Club. They claim they are “hot sauces for people who love food”. You won’t get the crazy, crazy hot ones or the gimmicky labels, just great tasting hot sauce. They have lots of options from just one bottle a month to three. Programs start at just $12.95 a month. I’m a huge fan of compression socks. I started wearing them years ago when a job required me to take many long-haul flights several times a month. Compression has long been used to deter deep vein thrombosis (DVT) while sitting for long periods of time. But I’ve come to use them when walking conferences, conventions, trade show floors and even while just out walking on adventures in new destinations. They really make quite a difference. They help provide support for my feet and back which take a beating. 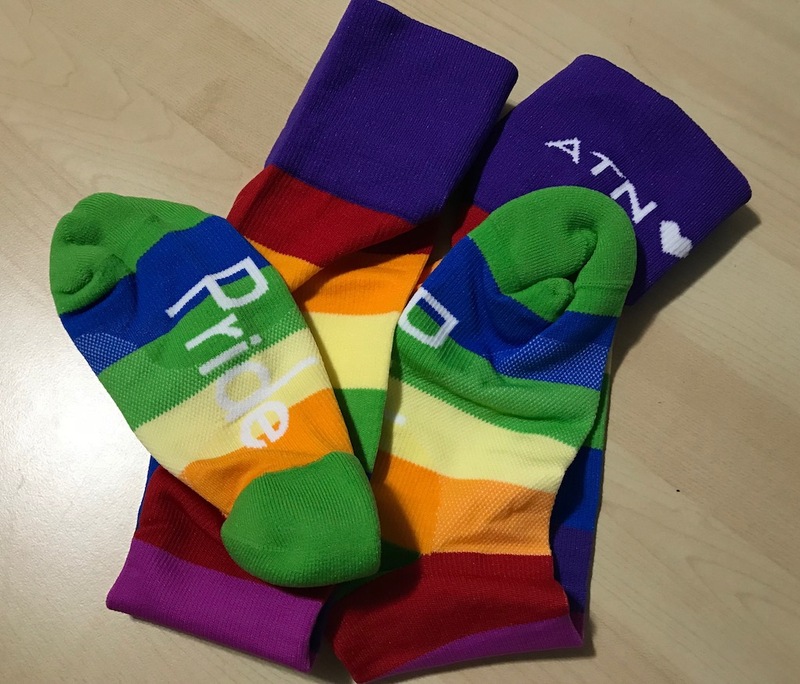 I was thrilled to try these new socks from ATN. I love colorful socks and these socks celebrating pride really are a conversation starter. They have antimicrobial fiber, are super soft and have a wide top band so there’s no rolling down or cutting into your calf. Retail prices start at $34.95. We’ve talked about Vim & Vigr compression socks before. They not only provide high-quality compression they also weave in their own style. These are not your mother’s white compression socks. I recently tried these charcoal and purple wool socks and they are great looking and super comfortable. I can wear them all day to help prevent swelling and to energize my legs. Don’t worry guys! They have lots of fashion styles for men and women. Prices start at $24.49. 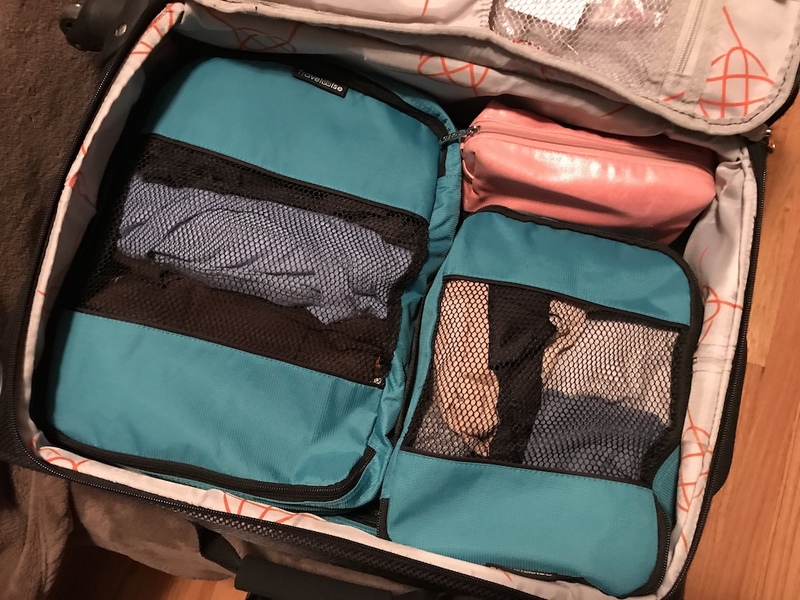 I’ve long sung the praises of packing cubes. The cubes make it simple to stay organized especially on long trips. These sturdy packing cubes from TravelWise are durable and super easy to use. They come in sets of 3, 5, and 6. They easily fit in carry-on and larger size luggage. Do yourself or a friend a favor and pick these up. Prices start as low as $14.99 a set. If you travel you’ve undoubtedly had trouble sleeping one place or another. This device helps fight insomnia by providing a library of built-in comforting sounds or even just white noise. I also love music. Whether I’m traveling or at home. 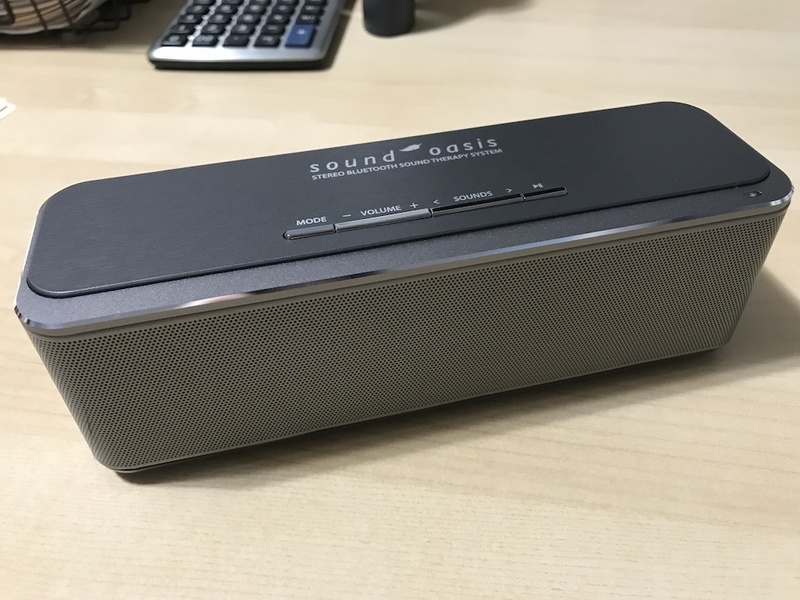 This wonderful little speaker from Sound Oasis makes it easy to have great sounding music where ever you go. It’s small but the sound quality is comparable to those larger units you see on TV. You can charge it and use it for hours. It’s easily programmed from your phone, tablet or laptop. Retail prices start at $129.99. I have to be honest. We have a new little one in the family. Another niece arrived last year and nothing has brought more joy to our lives. 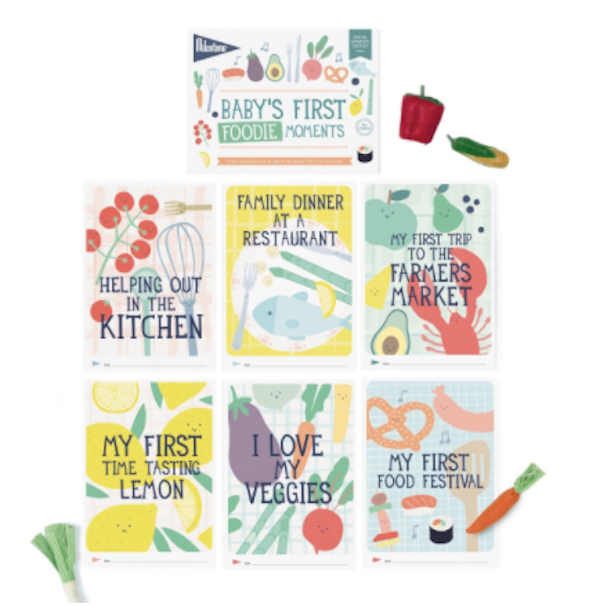 We all delight at capturing her “firsts.” These pre-made cards help you share the moments with your family, friends and the world if you wish. There are many to choose from but we were especially fond of the adorable Baby’s First Foodie Moments. They included important moments like the first trip to the farmers market, first food festival and helping out in the kitchen. Check out their entire selection on their website. Retail prices start at only $8.00. Do you prepare food to take to friends and family? This ingenious portable design lets you cut, heat and serve all in one handy system. Available in a casserole 9×13 style and a smaller mini-unit for lunch meals this system will save you time and money and serve up a hot meal. Perfect for potlucks, road trips, and homemade lunches. 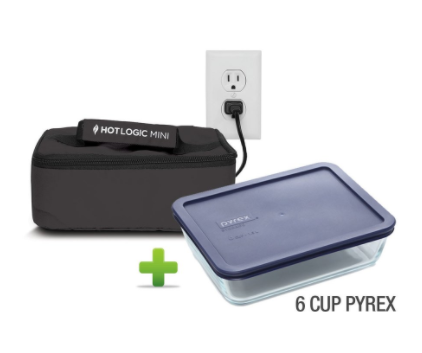 Just plug it in and it keeps your food nice and warm for hours. You can even cook in it if you like. Transport is easy in the insulated tote which prevents spills and tipping. Retail prices start at $42.95. Books are another terrific gift for travelers. No matter how many devices we have there’s nothing like holding a book in your hands and exploring the world. Here are a few we think you’ll like. If you love Paris and you love food (how could you not love both? ), this is the book for you. David Downie takes you on a culinary history trip through the city of light. Traveling the world and exploring all the wonderful wine there is to offer? Sounds like a wonderful journey to us. Inspired by Jules Verne’s classic, Mike Veseth “The Wine Economist” takes us on a trip of a lifetime. When I first saw this book I knew I had to not only read it but soak up every photo along the way. If you love mid-century nostalgia this book by Charles Phoenix, the ambassador of Americana, is for you. Even if you’ve spent your whole life in Chicago (like me) you’ll learn something new and surprising about the Windy City. You’ll never look at Chicago buildings the same again. This is a book by our friend Theresa Goodrich. It’s her first journey across the country from Chicago to San Diego and back. Discover what she learns along the way. 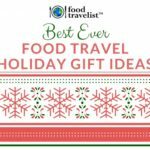 We hope you find these food and travel gifts ideas perfect for the food traveler on your list. Many of the links provided above are affiliate links, meaning we get a very small commission on those products purchased through our site. This costs you no additional money and helps us keep Food Travelist afloat. We appreciate your patronage! That heat and serve system is the COOLEST THING EVER! I swear! OH wow!!!! I want it, ha! Not that I ever really bring big meals for people out and about with me, but I just want it because it’s cool and I have never seen anything like it. If I were a camper I feel like this would be the best accessory to have! Forget a tent, LOL! I am so absolutely hungry after seeing this! I love giving food gifts as no one can complain it takes up space in their home…they eat it too fast! Great ideas! I am all about those Italian cookies. They sound delicious! The love bottle is cute and it would look good in my living room. I could also use some new compression socks too. These are all great ideas. We always pack items like these for traveling. Food is a must for when we travel, especially for the kids. I havne’t drank a soda in a very long time but those organic sodas look so good!! Oh I like that some of the snacks you’ve featured are non-gmo and organic. Those dark chocolate bites are something I’m going to have to look for when I need a healtheir naughty snack. I remember one year for XMAS my mom bought me 100 (I kid you not) bags of BEEF JERKY! LMFAO!!!!! Those Love Bottles are beautiful! Lots of great gift ideas. I love the idea of giving food as gifts, because it is so useful and is used up. I think so many of us already have too much ‘stuff’. These are really great products! I can think of several people that I could make a basket for! These treats brings me back to when I traveled a lot! I LOVE exploring flavors from other countries! I would love any of these as a Christmas gift! You just gave me an idea of what to gift my mom! I know she would love compression socks. The Sipp drinks and Tea Squares are two of my favs. Really though, this is an awesome list and I have found a lot of new ideas and things I would love to get and receive! That Munch Pack is so me! I could go for a box filled with goodies! Om nom nom. These are great! I love everything here, but I would especially be down for some wafer cookies and cozy socks! My brother travels a lot because of the nature of his work. Always flying out to somewhere it is hard to keep track of where he is. I think I will get him those packing cubes. It would be easier for him to organize his luggage that way. Thanks for the gift ideas! I love trying out new food and these would be perfect as a gift. I would love to try the tea. I love the idea of the Hot Logic! I know that’s on my Christmas wish list. I’d rather take a fresh meal and warm it up at my desk. So many fun ideas!!! I’ve always wondered about that portable food heater thing. I used to spend a lot of time in hotels and thought it was a great idea! Those wafers and tea squares would be my picks. However, the Sound Oasis Bluetooth Sleep Sound Therapy System would be beneficial; for me. I’ve not heard of Loaker cookies before. They sound like they would be a tasty treat to pick up! Chef inside the box sounds good to me. I am in the UK so I won’t be buying any of these things but I would be happy to recieve most of these things for xmas. These are great gift ideas for travel enthusiasts. Those cherries covered in yogurt totally sound so delicious to me! GOtta check them out. When I travel I always bring a bunch of snacks, I don’t always want vending machine or convenience store food. I try to pack food higher in protein and fruit based snacks. I need to get compression socks for my next trip. I love those “baby’s firsts” cards. Those would be so fun for a new parent gift. They’re so quirky. 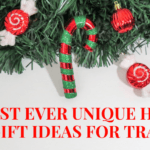 These are some really great gift ideas! I love the idea of giving a subscription to a box like that. 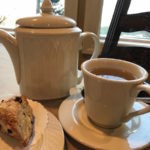 We would love to try the Italian cookies and for me send the teas. The family said the sodas looked interesting to try out. Wow. These all look like great holiday gifts and items. Yum! Dear Santa, I love tea so those Eureka Organic Teas and I travel a lot so the Sound Oasis Bluetooth Sleep Sound Therapy System would be a nice replacement for my teeny weeny sound machine. Great gifts and they’re all so affordable. These are some fabulous ideas! I really like that love bottle and the books since I enjoy reading. Those Italian Cookies look delicious and I would love to try the organic sodas. Forget giving these gifts; I want them all myself! Love the pretty bottle too!